A childhood love of a claymation video game inspired a Chandler artist to create pieces illustrating wild creatures, robots, monsters and aliens on display at Vision Gallery. “Josiah Copley: Creature A Day” is an exhibit of wood pieces based on drawings of various creatures influenced not only by video games but also Japanese Kaiju toys and cartoons. The Baltic birch plywood pieces will be on display at the gallery at 10 E. Chicago St. in downtown Chandler through Friday, Jan. 5. Copley, 27, who moved to Chandler about two years ago from South Carolina, said he has been drawing creatures for more than four years ago. “Originally it was a way to motivate myself to be committed to my art and keep drawing,” he said. Writers have also influenced Copley’s artwork. He is a fan of George MacDonald, a Scottish author, poet and minister known for his fairytales and fantasy novels. MacDonald influenced authors C.S. Lewis andJ.R.R. Tolkien. Copley, whose wife Lauren Copley is also an artist, said he has had much support from other artists including friends Dylan Mascarella and Shelby Cates. He said the exhibit at Vision Gallery is his second solo show but it is by far “the biggest and most ambitious” one he has had. Peter Bugg, visual arts coordinator for the City of Chandler, said people of all ages will like the exhibit. As a bonus, he said Copley’s work is also “affordable” with prices ranging from about $300 to $650 depending on their size and complexity. People can buy the artwork in the gallery and then pick it up in January after the exhibit is over. The Chandler Cultural Foundation manages the Vision Gallery, which is a nonprofit entity. 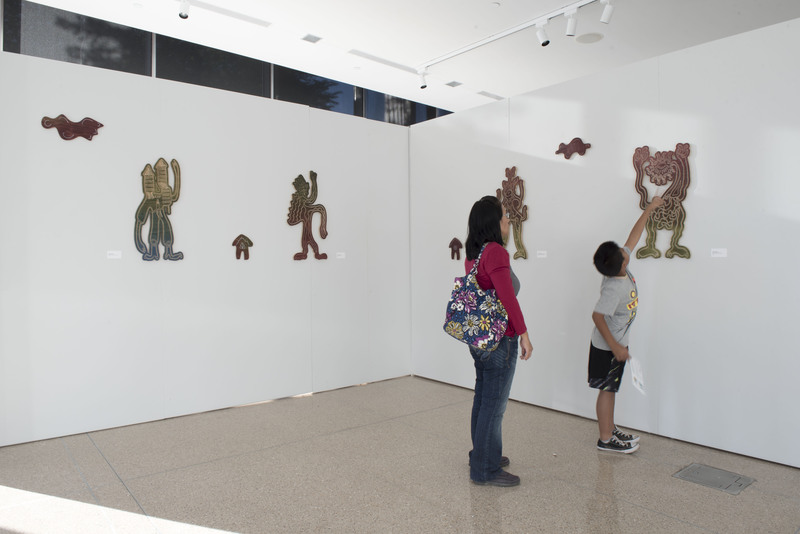 The Vision Gallery, as well as its sister gallery at the Chandler Center for the Arts, represent more than 300 regional artists. The galleries also host two Art-O-Mats, vending machines filled with artwork people can buy. Part of all art sales are used to support the VISION KIDZ program, art education workshops provided free to the community.